Daniel A. Ruzow is a Partner of Whiteman Osterman & Hanna and a member of the Firm's Environmental, Government Relations, Municipal and Real Estate Development, Zoning and Land Use Practice Groups. He concentrates his practice on environmental impact assessment, environmental and land use permitting and compliance and related litigation. Mr. Ruzow has been a partner at Whiteman Osterman & Hanna since 1986 and was managing partner from 1993 to 2003. Represented major shopping center developers in the siting and environmental and local land use permitting of over a dozen major regional shopping centers located across New York State. Most projects were controversial and responsibilities included development of an administrative record which could withstand judicial scrutiny under Article 78 review. Mr. Ruzow was also involved in the successful litigation defense of permits and approvals obtained. Represented wind developer in developing local, State and federal permitting strategy for multi-county siting of wind farms in upstate New York. Also represented a Town in the review of a controversial wind farm project and related litigation. From 1991-1999, served as lead counsel for the Coalition of Watershed Towns, an inter-municipal organization of 34 towns, nine villages and five counties comprising the majority of the Catskill and Delaware Watersheds for the New York City water supply. 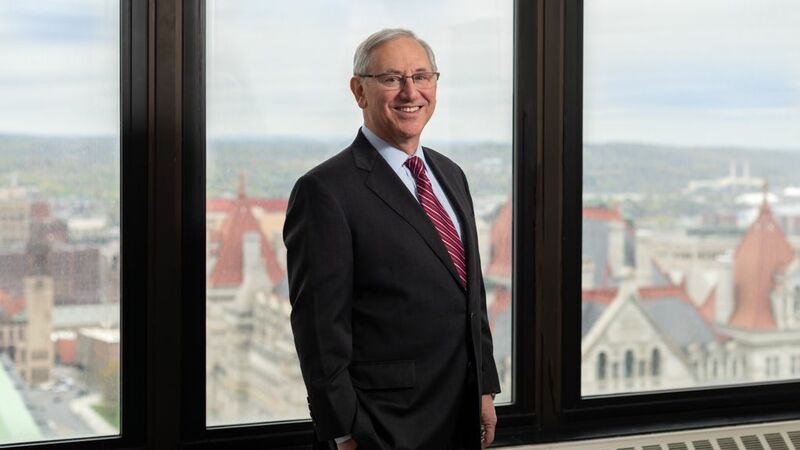 Mr. Ruzow received an award from the Environmental Law Section of the New York State Bar Association (NYSBA) for his leadership role in negotiating a settlement of the decades old dispute between New York City and its upstate watershed communities. He continues to represent the Catskill Watershed Corporation in its implementation of the programs funded by N.Y.C. Department of Environmental Protection. Represented several towns in connection with their SEQRA and local land use reviews of controversial residential, commercial and industrial projects including preparation of a town comprehensive plan. Represented state agencies and authorities in SEQRA related aspects of several projects, including serving as environmental co-counsel to the N.Y.S. Thruway Authority for the replacement of the Tappan Zee Bridge. Represents the New York Racing Association in connection with the environmental review of the Saratoga Race Course Redevelopment Plan for the historic Saratoga Race Course in Saratoga Springs, N. Y.
Mr. Ruzow is recognized nationally for his knowledge and experience with New York’s State Environmental Quality Review Act (SEQRA) and is co-author of the leading treatise on SEQRA, Environmental Impact Review in New York, published by Matthew Bender (1990-2014). He is a past-Chair of the Environmental Law Section of the New York State Bar Association and served as Chair of the Association’s Administrative Law Committee from 1992-95. Mr. Ruzow previously served as Assistant Commissioner and Counsel for Hearings of the New York State Department of Environmental Conservation where he restructured the Department’s hearing process and also served as SEQRA counsel to the Department. He also was an advisor to the Department on the 1987 and 1996 amendments to the SEQRA regulations. He has authored several law review and journal articles on SEQRA and the DEC Hearing Process. He is a frequent lecturer on SEQRA and local land use laws for the NYSBA and the New York Planning Federation where he served as a Board member for 10 years. He has also been recognized for his environmental experience in The International Who’s Who of Business Lawyers (2005-14) and Britain’s Chambers & Partners, Chambers USA America’s Leading Lawyers for Business (2005-14) and The Best Lawyers in America (2006-14). Mr. Ruzow is a graduate of Fordham University School of Law and has a Bachelor of Arts degree from Franklin and Marshall College.